Dragana Sotirovski was born on December 8, 1973 in Aleksinac. She graduated from the Faculty of Geography in Belgrade and received her Master’s Degree in Tourism at the Faculty of Natural Science and Mathematics in Niš. From 1992 she worked as a journalist at the third channel of RTB, and from 1993 as a reporter in the editing section of the Morning and Belgrade TV Programme. 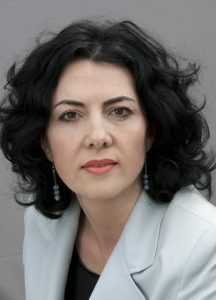 She became a correspondent in Niš for RTS in 1997. Dragana authored numerous informative pieces, documentary and travel shows, and films from Serbia and abroad (Greece, Bulgaria, Italy, Spain, North America, India, Russia, South China Sea). From 2011, until 2017 she worked as the editor of the Correspondence Office of RTS in Niš. Dragana is one of the rare journalists who had the privilege to film the scientists at the Royal Institute for Regenerative Medicine „Prince Philip“ in Valencia, as well as, American scientists at the Research Center in Irvine, California. 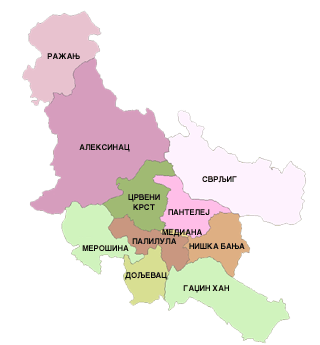 As a news reporter she reported on critical situations from almost all parts of Serbia and also from Macedonia and Bulgaria. She is a NUNS certificate media coach and a member of the Serbian Lobbying Society. Married and a mother of three children. The Government of the Republic of Serbia has appointed Dragana Sotirovski on December 27, 2017 as the head of the Nišava Administrative District, headquartered in Niš.